Microsoft Lumia 640 XL Specifications : 13 MP camera, 16 million colors, 8GB internal storage, 30GB Cloud Storage, 926 hours on stand by mode and lots more features. 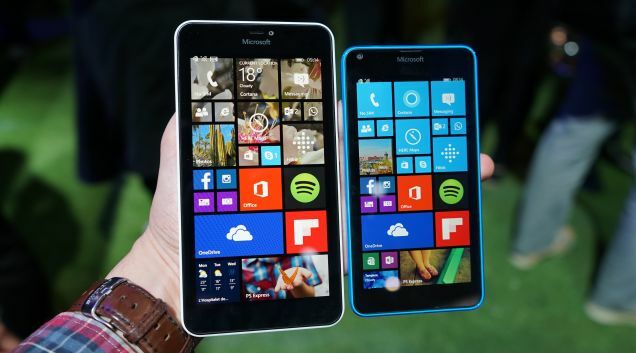 Microsoft has launched Microsoft Lumia 640 XL. Which is way better as compared to other budget smartphone. It is expected that till March 2015. It will be launched worldwide. Below are the Microsoft Lumia 640 XL specifications. We have discussed almost every features of this amazing smartphone. Microsoft Lumia 640 XL has 13 MP primary camera. Which has clarity upto 4128 x 3096 pixels. It has 1080p@30fps video clarity. Microsoft Lumia 640 XL has 5.7 inches display. It is multitouch. It has resolution of 720 x 1280 pixels with pixel density of 259 ppi. It has Corning glass 3 which make your smartphone dust resistant. Microsoft Lumia 640 XL is 157.9 x 81.5 x 9 mm in dimension. It weighs around 171 g.
Microsoft Lumia 640 XL support both 3G and 4G technology. It has browsing speed on HSPA 42.2/5.76 Mbps and on LTE Cat4 150/50 Mbps. Microsoft Lumia 640 XL has Windows operating system. It has chipset of Qualcomm Snapdragon 400. It has 1.2 GHz Cortex Quad-core processor. It has Adreno 305 General Processing Unit [GPU]. Microsoft Lumia 640 XL has 8GB internal storage. Its storage is expandable up to 128 Gb through micro-SD. Microsoft Lumia 640 XL has 3000mAh Li-on battery. It can be on stand by for 936 hours on 2G network. And 736 hours on 3G network. It has Talk-time capacity of 31 hours. Microsoft Lumia 640 XL has all common features. It has Wi-Fi, Bluetooth etc. It also support HTML 5. It has 30 GB cloud storage. Microsoft Lumia 640 XL is available in Orange, Matte white, Black, Glossy white and Matte cyan. Microsoft Lumia 640 XL price is still not revealed. But it is expected that it will cost low. As compare to Samsung and expensive Iphone. It has all amazing feature which users expect. Below are shopping website link. From where you can buy this smartphone. At much lower price. Do check other smartphones too.